Top venture capital firms and AI startups from Japan and India were invited to discuss the present situation of AI startups, investment opportunity expansions that could be achieved through cooperation between the two countries, and how an effective Japan-India Innovation Ecosystem might be built. 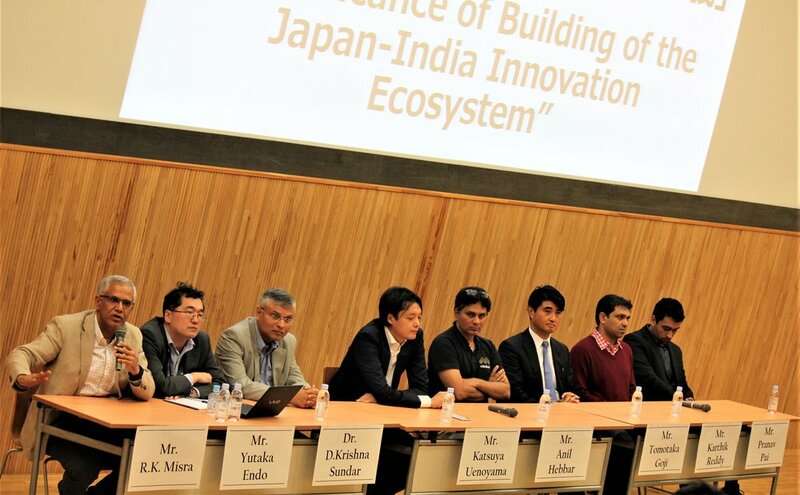 In the first Session titled “Collaborations between Japan and India Leverage Investment Opportunities”, four Japanese and Indian venture capitals took to the stage to share their thoughts on the opportunities for effective Japan-India investment, followed by Japanese and Indian startups sharing their insights related to “AI Startup Now in Japan and India”. In Session 2, Dr. Shigeo Kagami, DUCR of University of Tokyo, moderated the panel discussion “Significance of Building of the Japan-India Innovation Ecosystem” with eight Japanese and Indian panelists from industry, academia and government discussing the potential benefits of a deeper Japan-India partnership. In the third and final session, the “Student Entrepreneur Training & Internship Program (SETI)” was introduced by Carnegie India’s R.K. Misra and Dr. Shigeo Kagami to the students in attendance. Under the planned internship program, Japanese university students will have the chance to intern in Bengaluru startups, venture capitals, etc. Following the seminar, the panelists and students met and exchanged thoughts during a networking event, a unique and invaluable opportunity for university students to speak directly with the panelists from India and Japan who are at the forefront of their respective industries. Katsuya Uenoyama, CEO, PKSHA Technology Inc.